Michael Terry oversees financial operations including investment management, budgeting, accounting, financial reporting, grant monitoring, payroll auditing, accounts payable, and purchasing. He also oversees the development of the annual budget, Comprehensive Annual Financial Report (CAFR), and all other financial reporting. Mr. Terry officially began his duties with the City of Hopewell on December 1, 2017. Mr. Terry’s professional experience covers a span of over 20 years in governmental, professional services and public accounting. Those experiences included performing accounting, budgetary, finance and strong fiscal stewardship for five years as the Director of Budget & Finance for the County of Isle of Wight, three years as Deputy Director of Finance for the City of Richmond; and management consultant services for KPMG Consulting-Public Accounting for thirteen years. He also recently served as Senior Accounting Consultant for VML/VaCo Finance, as project leader for the preparation, completion and submission of the Comprehensive Annual Financial Report (CAFR) to both state and federal agencies for a local government for Fiscal Years Ended 2016 & 2017. 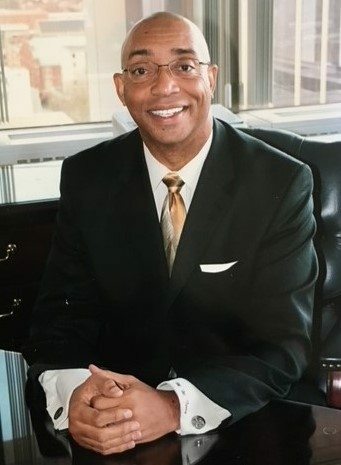 Additionally, Mr. Terry received a Bachelor of Science degree from Virginia Union University and a Post-Baccalaureate Certificate in Accounting from Virginia Commonwealth University.